England’s domestic Twenty20 Tournament – Friends Life t20 Schedule will begin tomorrow with a total of 97 matches scheduled from June 12th to August 25th. As many as 18 teams will take part in the third edition of the Friends Life t20 which are divided into three geographical groups equally. 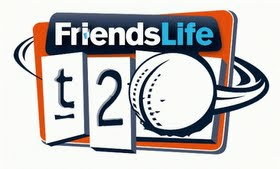 England’s domestic Twenty20 Tournament – Friends Life t20 will begin tomorrow with a total of 97 matches scheduled from June 12th to August 25th. As many as 18 teams will take part in the third edition of the Friends Life t20 which are divided into three geographical groups equally.